I've got little information about this artist, but the music on Zero is a intriguing blend of space rock, electronica, and progressive rock. Balbo's guitar style nods powerfully to Robert Fripp, though he's got a much more Kosmiche sound than Fripp. On the whole there's a strong space rock sound but rather than being like Hawkwind, the German electronic pioneers come to mind but with more guitar, and at times I imagine a more spaced version of King Crimson. Guitars and electronics are equally at the forefront throughout the album and the trademark sound for the electronic parts seems to straddle the line between a mechanical minimalist style and floating space Kosmiche. "Sto Benemiloto Bene Troppo" opens the set with an extended buildup of spacey UFO synths and other electronic patterns, a mechanical percussion beat, and a hypnotic piano melody. After about four minutes an acoustic guitar, whooshy space synths, and voice samples in Italian transition the music to what pretty much seems like a different song. Then suddenly the electronic patterns go mad, a crunchy pulsating electro guitar sound kicks in, and Fripp styled guitarscape licks wail, only to descend for the tracks's last seconds on a peaceful floating electronic carpet. And If I was disappointed that the intense portions of Sto Benemiloto were too brief than "Il Terrapieno" is a track that more than made up for it. Tangerine Dreamy keyboard patterns and wailing guitar notes occupy an area between space and progressive rock to create a mucho potent sound. Il Rifugio Antiaereo" is another standout track with lots of elements layered together. It's a total space electronics piece with cosmic King Crimson guitar patterns. I dig the flying saucer synths that gurgle and dance while the spaced version of Fripp and Belew do their guitar magic. One of the strongest tracks of the set. "L'acrobata" is an excellent tune that blends Goblin styled horror film sounds and peaceful acoustic guitar passages. The acoustic part eventually predominates though there's a wave of electronic drone moving in the backdrop to provide an interesting contrast to the guitar. "Sogni" is a lengthy slowly developing guitar and keyboard piece. Repetitive minimal patterns that once again recall Fripp are accompanied by Balbo's trademark bubbling space synths, which ascend closer and closer to the surface as the piece progresses. And there's plenty more. 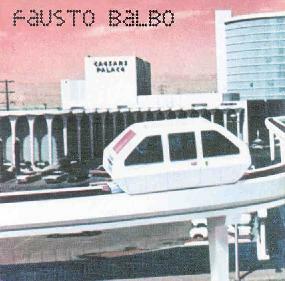 In summary, Fausto Balbo does an excellent job of creating powerful guitar/keyboard/synth driven instrumentals that will appeal to space and prog fans equally. The music is highly atmospheric, the synths deliciously spacey, and Balbo can wrench emotion from single guitar licks like an orchestra conductor. A fine set and I'd love to hear more from him. For more information you can visit the Snowdonia web site at: http://fast.to/snowdonia. Contact via snail mail c/o Snowdonia; C-O Cinzia La Fauci; Via Che-Rubini 84; 98124 Messina; Italy.